I need the next book like pronto, you cannot leave me hanging like this! This book was so good, I couldn’t put it down. Once again the way Maas delivers a world is like no other. She has a way with words that you can picture it so vividly. I liked getting to be in the night court, such a difference from the spring court. My dear Feyre! She is such a strong and amazing character. She doesn’t just give up and give in to what others want from her. Her character growth is so amazing! I love how she picks the pieces up and gets herself back together. I would not be weak, or helpless again. I would not, could not be broken. Tamed. Tamlin, oh Tamlin. He was gone about 80% of this book and I wasn’t mad about it. I’m not going to say I dislike Tamlin because really, he was just being himself. He couldn’t see how much his actions (even though they were meant out of love) hurt Feyre. In this book, we got to see him in a different light. We see how Under the Mountain changed him and how he was coping with it. My favorite of all is Rhysand. He was smart, cunning, and just plain HOT! I loved that he wanted to be there for Feyre but he didn’t coddle her or treat her as something broken. The banter between then amazing! Learning about Rhy’s past was great and we finally get to see how he became the way he is. There was no love triangle in this book! What I took from this second book is that just because you love someone doesn’t mean that they are the best for you. You can fall in love with someone but that doesn’t make then your forever person. We were also introduced to some new characters in this book. I liked every single one of them. Even Amren, even though she was a little creepy at times. Sometimes they stole the show, especially with their backstories. All in all, this book was the best I’ve read in a while. 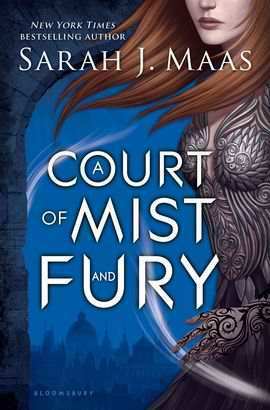 A Court of Mist and Fury gives you heartbreak, sadness, and harsh reality. Then it also gives you redemption and learning how to pick up and move on.After that ending, I was grabbing my invisible inhaler! Moving on to A Court of Wings and Ruin! !